Many people in the self publishing world will be aware of the annual ‘Self Published Fantasy Blog Off’ competition set up by Mark Lawrence. 300 hundred books are whittled down to just 1 winner. A great community has sprung up around this competition. Part of that has been authors coming together to share news of their books, price promos and today I’m sharing the page set up to showcase some SPFBO authors, past and present, whose books are free to read with Kindle Unlimited. J Elizabeth Vincent has kindly put this together, please take a look here. Both of my books, Visions of Zarua (entered 2016) and The Lost Sentinel (current entry), are on the list. 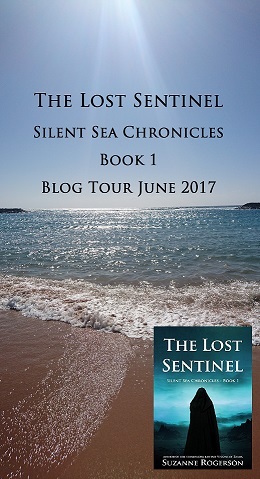 Talking of The Lost Sentinel I just found out at the weekend that Lynn, the judge with my book in her group of 30 books has picked The Lost Sentinel as one of her second batch reads this month! That means in a few weeks time I will hopefully know if The Lost Sentinel is still in the running. Check out Lynn’s post about her latest choices over on Lynns book blog. I have everything crossed, but the competition is very strong. I know I would make a useless judge, but thankfully I only have to read for the pleasure of it and don’t have to pick any winners. I have purchased a number of titles thanks to this competition. Here is a link to my post about the books I’ve bought and why. Thanks for reading, and I hope to be back tomorrow with my first book review in a while.